The small island state of Bahrain is trying to get one step ahead in a bid to become a fintech hub in the region. The kingdom recently established Bahrain Fintech Bay (BFB), which bills itself as a one-stop shop for fledgling fintech companies. This is not its first fintech commitment. 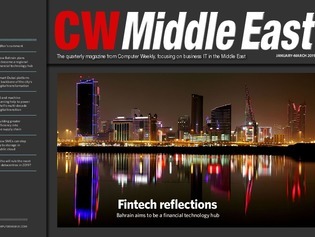 Back in 2017, the Central Bank of Bahrain (CBB) announced regulations to enable the creation of an environment where fintech firms can test out their products and services. Bahrain is small but it gives companies access to the Gulf Cooperation Council’s political and economic group, which comprises Bahrain, Kuwait, Oman, Qatar, Saudi Arabia and the United Arab Emirates. Computer Weekly attended an event in Bahrain and found out more, which is featured in this issue. Meanwhile, on the subject of diversification, read more about the pioneering smart city developments going on in Dubai. The city is setting itself up as a global leader in developing the cities of the future. The latest announcement by the city’s Smart Dubai Office revealed it is developing a digital ID and digital signature, known as UAE Pass, which is being touted as one of the foundations that any city needs to transform.